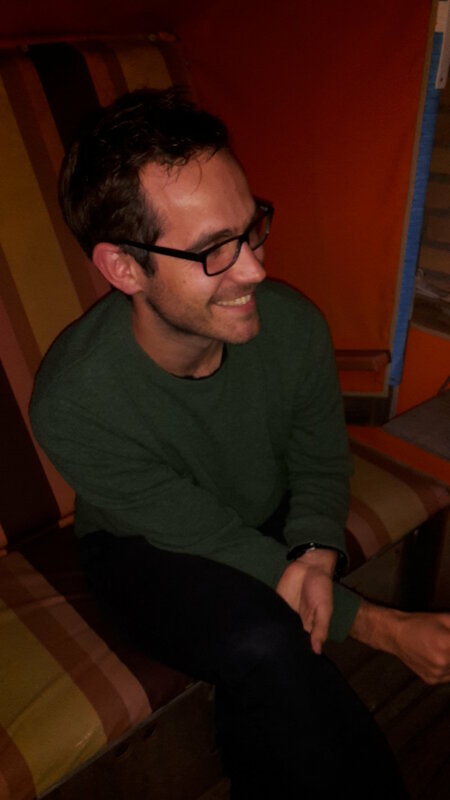 Niels Klenner is a PhD student within the project “The Normative Relations between Fiction, Imagination and Appreciation” in Fribourg, funded both by the Swiss National Science Foundation and German Research Foundation. His thesis is about the role of argumentation in literary interpretations. Kathleen Stock’s extreme intentionalism takes the authorial intention to be both necessary and sufficient for a proposition to be true in fiction. This is what makes her view extreme. Should we follow Stock in being extreme? Breaking down extreme intentionalism to the claim that fictional content is identical to what the author intended to be true in fiction is a very simplistic reproduction of her position but sufficient for our purposes. The only add-on we need is that intending something comes with restrictions. An author has to do more than to just ‘activate’ her willpower; there needs to be evidence for a commitment to trying to convey some fictional content p. “Evidence, via an agent’s behaviour, of a total lack of commitment to producing A is that an intention to A is lacking” (16). Let us consider three instances of this objection to see the progress the book makes and where it probably overshoots the mark. The reason why extreme intentionalism or actual intentionalism, i.e. the counterpart within the debate about the meaning of a literary work also using solely the authorial intention for the definition, is taken to be a nonstarter is that it is thought to lead to the “Humpty-Dumpty theory of language” (Iseminger 1996: 321). This fictional character from Carroll (1872) intends to mean ‘a nice knock-down argument’ by uttering ‘glory’. From here it is argued, if actual intentionalism is right, Humpty Dumpty’s intended meaning would be the actual meaning of ‘glory’. This is an obvious unpalatable consequence which is why actual intentionalism is widely rejected. Now, it is important to see that this argument does not work against Stock because of the restriction on ‘intending something’ introduced above. Humpty Dumpty is not intending what it aims to because there is “a total lack of commitment”. Stock’s position is extreme but not as radical as actual intentionalism is thought to be. Contrary to one of the most important arguments within the analytic aesthetics for not being a full-blown intentionalist, it is reasonable to go extreme with Stock. Robert Stecker, one of the main contenders of a moderate intentionalism, refers to slips of the pen to build his core argument for being moderate in his preferred sense (2006). Suppose an author writes ‘You are a very perspicuous fellow!’ instead of ‘perspicacious’. It is nonsense to utter that you are a very clearly expressed fellow. Stecker claims that in such cases we should only take what is actually said to be part of the fiction. If he is right, the authorial intention is neither necessary nor sufficient but as Stock rightly points out, he is wrong (43f.). Stock grants that there are contexts in which we favour sentence meaning over speaker meaning, e.g. writing a dictate in school, but writing fiction is not such a context. Editors eliminate slips of the pen when they notice these mistakes. Contrary to Stecker, there still seems to be no reasons not to be extreme. Similar to the second instance of the failure-objection, the author generates inadvertently some unintended meaning q. In contrast to the second, q is not nonsense but “can be read as being intended”. Furthermore, it is safe to say that q does not get eliminated from fictional content by editors. Stock’s argument against the second instance of the failure-objection her argument does not hold here. In considering the detective novel and similar cases, Stock is only concerned with saving the sufficient condition (cf. 88-92). Her discussion leaves open the question whether q is part of the fiction. It is the question whether the authorial intention is necessary. There are two ways to read cases like the detective novel. According to the first, the reader has ultimately no good reasons to think that the “’clues’” point to a different explanation after finding out what the author really intended. This reading saves the necessary condition because a rational interpreter should give up on q. The problem within the context of the failure-objection is that the mistake is no longer on the author’s side. It is the reader who fails to grasp the intention. According to the second reading, thinking of q being fictionally true does not become a mistake after finding out that p is intended. Putting forward the failure-objection, we should read the detective novel in the second sense. What is the reason to exclude q from fictional content other than saying q is not intended (for that begs the question)? We need a reason why it is valuable only to go with the authorial intention. A reason why we should not hold on to unintended meanings in ordinary communication is that this behaviour will make us ultimately very lonely. We might take up the unintended meanings of our dialogue partner for two or three times, but after that, I assume, she will walk away from us. This reason, however, does not apply to literary ‘communication’. In most situations there are no sanctions. For one simple reason, the author might be dead and as result cannot punish our behaviour. I take it, that there is at least no obvious reason available why we should condemn the unintended meaning in the detective case. Apart from there being no obvious reason, there are good reasons why the reader of the detective novel might want to stick to the unintended meaning. It might make the novel more exciting, ‘darker’, smarter, and what have you. So should extreme intentionalists? Given the two arguments, I tend to negate the question. In cases like the detective novel, I think we should not be extreme but moderate allowing unintended meanings to be part of the fiction. It is one of the distinguishing features of Only Imagine and arguably one of Stock’s main merits that she brings together these two debates. Although they do not overlap entirely, as Stock is well aware (cf. 3f. ), they should not be seen isolated from each other as beforehand (with the notable exception of Lamarque 2009). This argument can also be found in my MA thesis (2014) as well as the following argument (that, admittedly, only applies to the debate about literary work meaning). It starts by highlighting that q is nonsense and stressing that an account of work meaning does not stop with stating the (fictional) content as Stecker himself admits (2003: 18). Holding on to what is said rather than what is intended in cases of slips of the pen, Stecker is in the uncomfortable position to explain what it means to interpret nonsense and why it is an “interpretive project” worth pursuing (cf. Stecker 1997: 151). Carroll, Lewis (1872). Through the Looking-Glass. Raleigh: Hayes Barton Press. Iseminger, Gary (1996). “Actual Intentionalism vs. Hypothetical Intentionalism.” Journal of Aesthetics and Art Criticism, 54(4): 319-326. Klenner, Niels (2014). Is Moderate Actual Intentionalism superior to Hypothetical Intentionalism? – A reply to Robert Stecker’s counterexamples (MA dissertation, York: unpublished). Lamarque, Peter (2009). The Philosophy of Literature. Oxford: Blackwell Publishing. Stecker, Robert (1997). Artworks: definition, meaning, value. Pennsylvania: Pennsylvania State University Press. Stecker, Robert (2003). Stecker, R. (2003). Interpretation and construction: art, speech and the law. Oxford: Blackwell Publishing. Stecker, Robert (2006). “Moderate Actual Intentionalism defended.” Journal of Aesthetics and Art Criticism, 64(4): 429-438. Stock, Kathleen (2017). Only Imagine. Fiction, Interpretation and Imagination. Oxford: Oxford University Press. In his post, Niels Klenner focuses on a claim of mine about a possible case: one where the author of a detective novel intends, via her text, that readers imagine a certain person X as the murderer; but where in fact readers generally interpret themselves as instructed to imagine a different person Y as the murderer instead. On my view, X would count as the murderer nonetheless. That is, it would count as part of the plot, the “fictional content”, or the “fictional truths” of the work, that X is the murderer. As Klenner points out, this is a different sort of case from that where an author only quasi-“intends” that readers imagine something as a result of her written words, but with no credible story about how readers might be able to recognise this intention. In the latter sort of case we can say, according to fairly standard views about constraints upon having an intention, that a genuine communicative intention on the part of the author is not present at all. (For more details about what a genuine communicative intention looks like, I refer readers to Chapter 1 of my book). Equally, the case is unlike one where an author makes a slip of the pen. In that sort of case, there is already an established practice – manifest in editorial corrections - of counting the original intention as the one that determines fictional truth, rather than its clumsily executed outcome; and no clear reason to do otherwise, given that leaving the slip uncorrected normally won’t enhance the reader’s experience in any way, and that it is easily fixed. In contrast, in the case in question, as Klenner points out, there might be attractive local reasons to take the murderer to be Y not X: it might make the novel “more exciting, ‘darker’, smarter”, for instance. Effectively Klenner seems to be arguing here for a “value-maximising” (VM) approach to fictional truth, at least for this sort of case. I discuss and reject VM in Chapter 3 of my book. There I argue that, in practice, adopting VM towards a fictional text could only conceivably usefully occur after a lot of the fictional truths of the text had already been interpreted, since otherwise readers would have no idea of the relevant alternatives from which to make a choice. Hence VM could at most be a partial theory of interpretation. I also argue in Chapter 3 that many of the cases that might seem to push us towards VM can be accommodated by extreme intentionalism, since often, working out what authorial choice would have made a work more or most valuable is a reliable way of detecting authorial intention, especially when interpreting major authors at the height of their powers. But Klenner is right to notice that this defence won’t work in cases like the one above, where the author is someone who badly executes her intentions, or otherwise makes mistakes. Nonetheless, I’m going to stick to my guns: extreme intentionalism takes the right approach here. To say otherwise is to lose, to a significant extent, the capacity to criticise an author for her mistakes. If- to resume our example – it were part of the detective novel’s content that Y is the murderer, not X as the author intended, then it’s hard to see how we could criticise either the book or the author for poorly communicating what was originally intended. VM effectively seems to move the practice of reading and interpreting stories away from assessment in terms of things like skill, subtlety, and precision, or the lack of them; for each of these assessments would require recognition of the relation between authorial intention and execution; of the story as an artefact, and as the product of a mind. Instead, VM effectively seems to move us towards treating stories as, first and foremost, potential sources of subjective pleasure. It’s as if we were judging a baking competition, but, instead of tasting and assessing the food on its own merits, we added sugar ourselves, to make it as enjoyable as possible. Maybe it’s the latent Puritan in me, but I can’t help feeling that such a move would be a loss to our critical practices. (And let’s not forget, either, that critically assessing a work in terms of the fit, or lack of it, between what was intended, and what was achieved, is itself a source of great pleasure for many). I’d like to express my warm appreciation to Patrik Engisch and Julia Langkau for organising, at the University of Fribourg, the workshop upon which this series of posts is based. Grateful thanks are also due to all the workshop participants for their sympathetic and valuable engagement; Gianfranco Soldati and colleagues for their generosity in financially supporting the event; and Amy Kind for inviting us to bring our conversation to The Junkyard.